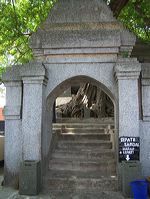 It was the meditation place of the first Mojopahit King (R. Wijaya Kertajaya Jayawardana) According to the story; it was “Punden” which was called LEMAH GENENG (Siti Inggil). In front of Siti Inggil, there are 2 graves: the graves of Sapu Angin and Sapu Jagat. This is visited by many local or foreign visitor every Friday Legi (one of Javanese days). 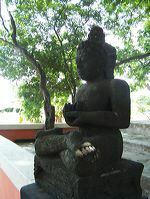 Its location is at Kedungwulan, Bejijong, Trowulan – Mojokerto. 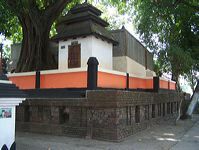 Siti Inggil grave is one of pilgrimage tourism in Trowulan. Many pilgrims often visit this place to pray or having a wish. The visitors usually bring flowers for the grave and pray together.